We’re halfway through the Ty Newydd poetry ‘masterclass’ with Carol Ann Duffy and Gillian Clarke, I’m writing this at 5am because my mind won’t relax, so here are my thoughts so far. 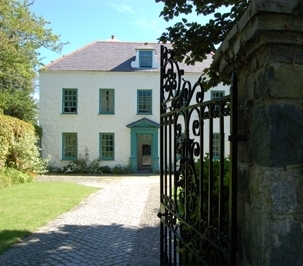 Firstly, I have nothing but praise for the staff here – Awen in the office, Gavin the warden and chef and his mother-in-law with the lilting accent – everyone has been so lovely, relaxed and accommodating. I have lucked out with my room – it’s big, quiet and warm, I have my own bathroom, the shower is hot. All perfect. There are stunning views from the landing window. The weather has been wonderful and seasonal. This house seems to have a myriad rooms, nooks, little stairways and books, books, books at every turn. And the course itself? On day one I got off to a shaky start – on the first evening we were gathered together in the library and asked to interview each other in pairs and introduce ourselves. My neighbour and I went for the usual – families, jobs, backgrounds, poetry successes and why we were here. Everyone else seemed to take the quirky route (‘her favourite poet is Lorca, she wishes more people liked wind turbines and her earliest memory is tasting her first mango’) – I made this one up by the way, but you get the picture. We were also told on the first evening the format of the week – seven workshops in all: two morning workshops with each of the tutors, two afternoon sessions with both tutors in which we may bring a poem for feedback (8 participants on Tuesday, the other 8 yesterday) and on Friday afternoon we’ll be compiling an anthology, although I’m not sure what the tutors’ input on that will be. The evenings are for readings. On Tuesday both the tutors read. It was very special to have a ‘private’ reading like that, and there was a lively Q & A at the end. Yesterday we had a visit from Imtiaz Dharker, who clearly has a very warm relationship with both the tutors. She read some new poems and one or two which were clearly favourites from her repertoire. There was poignancy and humour in her work and a quiet beauty to her voice and interpretation, as well as humour. We loved her. This evening we will have a ‘secret poem’ session – everyone submits an anonymous poem, which are then read out and we have to guess who wrote what. Supposedly it’s a test of who’s been paying attention to other people’s writing and style. Tricky. On Friday it’s the chance for us all to read something and I have to say I’m looking forward to that – both for the chance to read but also to hear other people’s work, since so far we’ve mostly been generating workshop poems. The only thing that’s been sprung on us is the news that there’s to be a competition. Carol Ann and Gillian decided yesterday it would be fun. This is the one thing that’s derailed me. Not to bore you too much with the detail of what’s been going on in my head but I’ve decided not to take part (It’s not obligatory). Here’s my honest reason: if I entered and didn’t win, I’d be completely gutted. I’m not saying I’m necessarily think I’m a better poet than any of the other participants, but if I’m not then I don’t want to have my nose rubbed in it. And not winning would make me feel that way – even though YES I know it’s not an objective measure of talent and YES I know it’s just a ‘bit of fun’ – I know, I know – but it matters to me that I come away from this week feeling a little stronger and more confident as a poet. And a stupid thing like a competition could undermine everything I’ve experienced here. Maybe I’m the only one to feel this way and if so perhaps I’m just not as big a person as everyone else. Whatever – I will not take part, I will remove that particular stress and I’ll be very happy for the winners! I think I’ll leave it there for now – more about the workshops, participants and the tutors in my next post. « How many times do you send out a poem? Thank you Jospehine … after I wrote this there was a lot of emotion and hard work still to come. Not everyone on the course appreciated my honesty (outspoken-ness?) about a couple of things. It can get me into trouble. I like to get everything out in the open but it’s clearly not everyone’s preference. Really enjoyed the post – thanks for sharing your thoughts & experiences. Curious how the ‘secret poem’ session goes – should be fun. I bet it will be a comfortable setting for people to read their poems. Thank you Elly, I did rather badly in the ‘secret poem’ session, only guessing 4 of the 15 poems correctly! It was fun though, but a LONG evening. 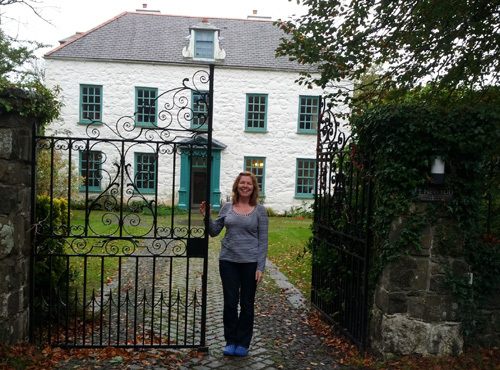 Thanks for your honest account of your Ty Newydd experience so far, Robin. Thanks Jayne, more to come when I can get my head around it all!